Nick D. explains how the Switch’s Virtual Console could make or break the console. When Nintendo released the Wii, they did something that put them far ahead of the curve in terms of digital marketing their back catalogue – they launched the Virtual Console. Through this, Nintendo opened the possibilities of having all of its fabulous history on modern consoles. Fast forward to the Switch and the Virtual Console is one of the last pieces that Nintendo has remained tight-lipped about. We know it will exist in some form because of their online service giving NES and SNES games per month, but the extent is still a mystery. What is clear, however, is that the Virtual Console, long abused since the Wii era, needs to be a cornerstone of the Switch. If executed properly, it could be the difference between another Nintendo failure and one of their greatest successes. As mentioned above, the Virtual Console launched with the Wii. It was Nintendo’s way of providing a way to download old games. Originally, this meant the ability to download NES and SNES games to play on the Wii, with such huge hits as The Legend of Zelda and Super Mario Bros. being headliners at the start of the service. The idea being that every week, new titles would be included. Eventually, more systems were added, including non-Nintendo ones such as the Turbografx 16 and the Sega Genesis. However, Nintendo’s release schedule for the VC soon dropped to a trickle. Instead of 2 or more great games a week, it became lucky to get a single bad game a month. Hope returned when the Wii U also launched with the service. It was an opportunity for Nintendo to start again. There was no pervasive account system, but Wii owners could transfer over all their VC games onto the Wii U, though Wii VC games not yet released on the Wii U had to be played on the Wii boot menu. The reason for this is that the Wii U added extra features to the VC lineup such as connectivity to their Miiverse platform. So, a promising start. It didn’t last. Almost immediately, it became apparent that Nintendo had no desire to support the potential money-maker. Releases were infrequent, quality of games were suspect, and, by the end of the Wii U’s run, they’d yet to release over 130 titles that were on the Wii. Tragically, many of these titles were the cream of the crop such as the SNES Final Fantasy games. The 3DS also received the VC during its run, but it received much the same support as the Wii U, with few games and an inconsistent release schedule. The Wii was a huge success for Nintendo, so it wasn’t all that surprising that they rested on their laurels. It was the Wii U that really highlighted their incompetence. Through its entire life cycle, the Wii U was dogged by a lack of support and games, far beyond anything Nintendo had seen before. They went far too long before they were able to stagger to their feet with the release of Mario Kart 8 and Super Smash Bros. This problem became apparent very early, especially when Ubisoft delayed Rayman Legends due to the poor sales of the Wii U in order to make it multiplatform. This left a huge gap in an already sparse schedule. Why, oh why, didn’t Nintendo think of the VC? They had a shortage of game releases, and a way to release games that were wholly owned by them with minimal effort and cost. What’s more is that the nostalgia factor in these games could make them akin to big releases. Nintendo could announce and hype VC releases the same way they do regular games. That way, their release schedule would appear fuller, and, to many, it would be. They tried this exactly one time with their release of Earthbound on the VC. It was a success, leading it to be the third best selling e-shop title on release, which is pretty good for about the most niche game ever made. It was frustrating beyond belief to see Nintendo abandon the VC worse on the Wii U than on the Wii, when the VC had the opportunity to fix quite a few of their problems. Earthbound sold well, but what about Final Fantasy III (VI)? A proper sprinkle of hype before release, maybe a Nintendo Direct on great VC games coming out, and Nintendo could have been secure knowing that people would be playing the Wii U even when there was nothing new on the horizon. So, once again, we look to Nintendo’s newest console as an opportunity for the gaming giant to get it together and start supporting a fully-fleshed out VC. It is worrying that we haven’t heard anything about it yet, but the fact that Nintendo actively refuses to answer questions about the service leads me to believe they are going to be doing something more with it. In particular, they have likely tied it together with their premium online service, which allows gamers to download an NES or SNES game to play for a month. Thus, the VC will play a role on the Switch, and likely has a bigger priority since Nintendo is integrating it somewhat in their online service. As the title of the article suggests, the VC has the opportunity to make or break the Nintendo Switch. It can help minimize all problems, or its absence can further frustrate fans. Let’s look at an example: the launch lineup for the Switch has been highly criticized. There are only a few games coming out on day one, and, being honest, the only one of note is The Legend of Zelda Breath of the Wild. The rest are the same tech demo garbage that every console gets, or ports of older games. Nintendo obviously can’t rush development of its own studios, nor can they force third parties to change their timelines in order to get new stuff out day one. What they can do is harness the Virtual Console. Imagine, if you will, that Nintendo publicizes that the VC will launch with, say 30 games, the same number as the NES Classic. The games in question being major hits from NES to Wii U. No Excitebike. No fluff. Just the best they can get from their own exclusive property. I’m talking about Super Mario Bros. 3, Donkey Kong Country 2, Mario 64, etc. They can have an entire reel of these games in a Nintendo Direct, showing off the absolute best they have to offer. Without filler, Nintendo can be safe, knowing that they won’t be skimping on content on release and early-adopters will have lots to do and purchase on day one. But that’s not enough. Gamers have been burned three times with Nintendo’s incredibly poor handling of the VC. If Nintendo would commit to a release schedule of two VC games a week, not two e-shop games, but two VC games, gamers could relax. You see, back on the Wii, there was an initial excitement every week to see what would be included. Would this be the week that we got Earthbound, Illusion of Gaia, or Final Fantasy II(IV)? It was a game, though one that regularly met with disappointment as Nintendo released the worst of their back catalogue week after week instead of actually going for their good games. Lets be honest, Nintendo could release major hit games every week for the entire lifespan of the Switch and they’d nowhere near come close to exhausting their catalogue of great games. Therefore, the VC has the ability of filling in gaps, and targeting the often used criticism that there are no games on Nintendo. Yes, they’d be old, but many, many gamers have never played these retro games. With the rise of the retro gaming craze, these games are more desired than ever before. Eight highly publicized, top tier games a month would do wonders for Nintendo’s reputation of not releasing any games. The Wii U’s handling of the VC was tragically terrible, but they did do something new – the Miiverse. This was basically an internal forum that let people post pictures from games, make drawings, ask for help, make general commentary, etc. The Miiverse is going to be scrapped for the Switch, but there are lessons this added connectivity can bring. First among them is sharing. We know the Switch will have some sharing capability, but the VC is a goldmine for this. Retro Nintendo games are huge in the speed running world. Some way to record and share speed runs as well as provide guided commentary for aspiring runners would do wonders. The same is true with helping gamers. While it’s a task for Nintendo to set up the infrastructure for this, the precedent is already set with the Miiverse. Another obvious feature is online multiplayer. This one is tricky, but would be utterly worth it for Nintendo to pursue. Many older Nintendo games thrive on couch co-op. With some effort, Nintendo could integrate online multiplayer in these games. Imagine Super Mario Kart having an online queue. It would be expensive for Nintendo to do, but, with the proper hype around it, they could get enough people excited to dive back in to games that otherwise would have lost the multiplayer spark. To underestimate the potential of the Virtual Console would be a mistake. Nintendo has been the home to some of the best games ever made, and they have the perfect platform to bring these games back to the living rooms all on one system. 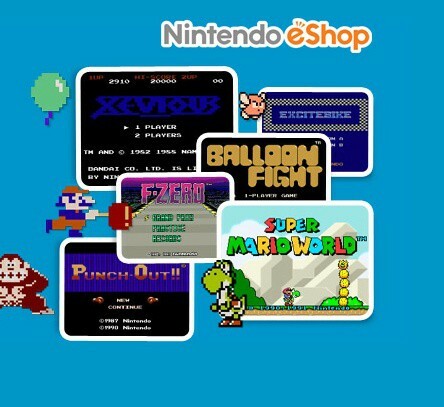 Nintendo has traditionally completely overlooked this potential, but, if they get it right, the Virtual Console could be the jewel in the Switch’s crown.